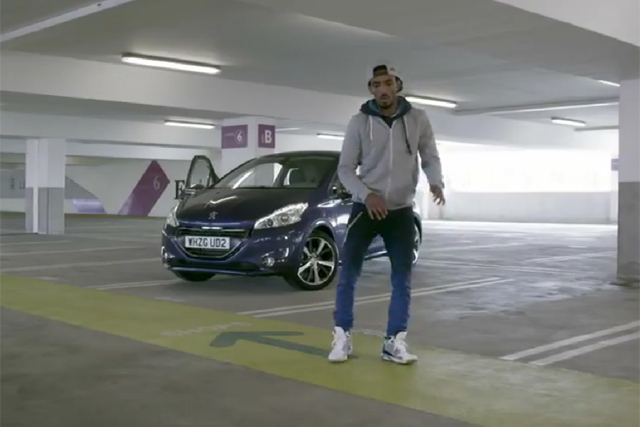 Peugeot is looking to promote its new 208 model to younger drivers with an online campaign featuring YouTube sensation dancer Marquese Scott. The French manufacturer has launched a video clip featuring ‘Nonstop’ performer Scott dancing to a new track called ‘Feel the love’ by Rudimental, tipped to be a big hit this summer. The campaign, devised by Initials Marketing, EHS 4D and OMD, includes a video showing Scott moving continuously to the track, dancing past a parked 208 model and the strapline for Peugeot’s global campaign for 208, ‘Let Your Body Drive’. The clip is already going viral amassing around 230k views, and Peugeot will support it further with a roadshow taking in seven UK shopping centres, including Bristol’s Cabot Circus, Birmingham’s Bullring and London’s Westfield. Consumers will be encouraged to visit a dedicated YouTube page and upload their own ‘Bodydrive’ video, with the best entry will win a trip for seven to Ibiza. The competition will run from 25 April to the end of June. Nick Crossley, brand advertising, partnership and sponsorship manager at Peugeot, said: "The new 208 represents a huge step in the evolution of the ‘20’ series. The Bodydrive campaign complements the interactive nature of the 208, from the dashboard to the integral interior design of the vehicle, which is deceptively spacious." The Peugeot 208 goes on sale in the UK on June 28.